Where does the time go? One minute I was wrapping up blog news ahead of Christmas then suddenly it’s the end of January. Happy new year! Blogging is a labour of love so it has to take a back-seat sometimes to make way for the day job and other exciting projects. I know there are professional bloggers out there who devote their entire day to discovering and writing about their finds or sponsors, but as an independent blogger with no advertisers to placate, I only want to feature work that I love – and speaking of love, it’s not long to go until Valentine’s Day. Instead of wasting your cash on a temporary card that will end up in the bin before the month is out (let’s hope it’s not a metaphor for the longevity of the relationship), show how thoughtful you can be by gifting a more permanent symbol of your love. Art prints are the perfect, affordable symbol of how much you care, will look great on your wall, and are far more enduring (hopefully like the relationship). 1. 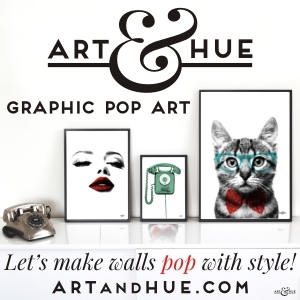 Art & Hue – for the fan of Mid-Century cinema or Audrey Hepburn, Audrey’s been transformed into the symbol of love. 2. Of Life & Lemons – personalise this watercolour effect art print with your details for that special touch. 3. Old English Co. – Graphic, hand-written, gold-effect print, what’s not to love? 4. Old English Co. – Charming graphic print that’s guaranteed to raise a smile and a kiss. 5. 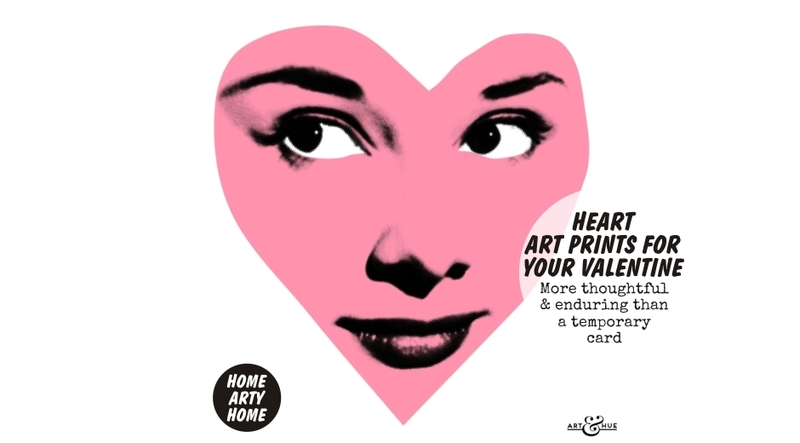 Art & Hue – Romantic screen icon Audrey again, this time in Mint green – this print is available in a choice of 18 colours. 6. Bold & Noble – screen-printed art print with delicate illustrations in Bold & Noble’s house-style. 7. Bold & Noble – Delicate, graphic, illustrated, contemporary yet timeless, this print’s got it all. 8. Silke Spingies – for the cat-lover, this adorable print of a heart made up of cats will surely please. 9. One Must Dash – not a heart print but a nicely illustrated typographic statement of love. 10. Soo-UK – again, not a heart print but it does mention a wild heart and fits the bill for Valentine’s.